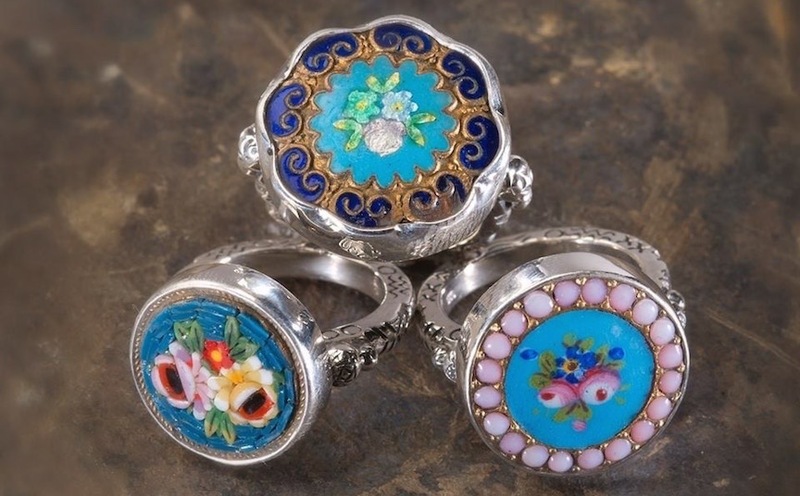 These buttons are beautiful works of art from the Victorian – Edwardian period in Europe. 1860-1910. All these buttons are authentic of this period in time. All these buttons are set in sterling silver into rings bracelets necklaces and earrings. I leave the buttons as they are with the shank in tact. I work mostly with the Victorian Glass, picturesque French Metals, carved pearls and hand painted enamel buttons from this period. They are all very unique works of art that speak about their time period. Preserving these buttons into unique pieces of jewelry is my way of putting the buttons back on the women. I hope you enjoy learning about these historical treasures . Each button is a work of art. They are a lost treasures of the Victorian and Edwardian era.